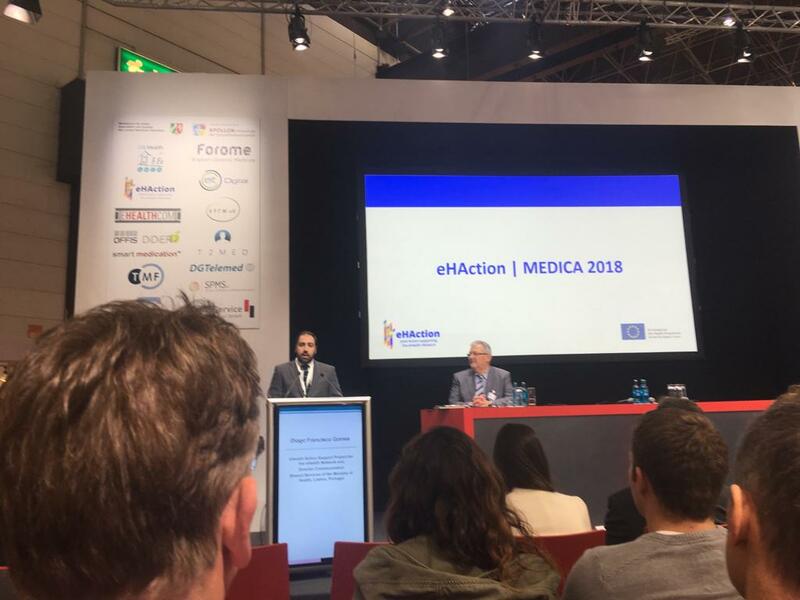 On this Wednesday, November 14th, the 3rd Joint Action supporting the eHealth Network attended MEDICA 2018 edition in Düsseldorf, Germany. 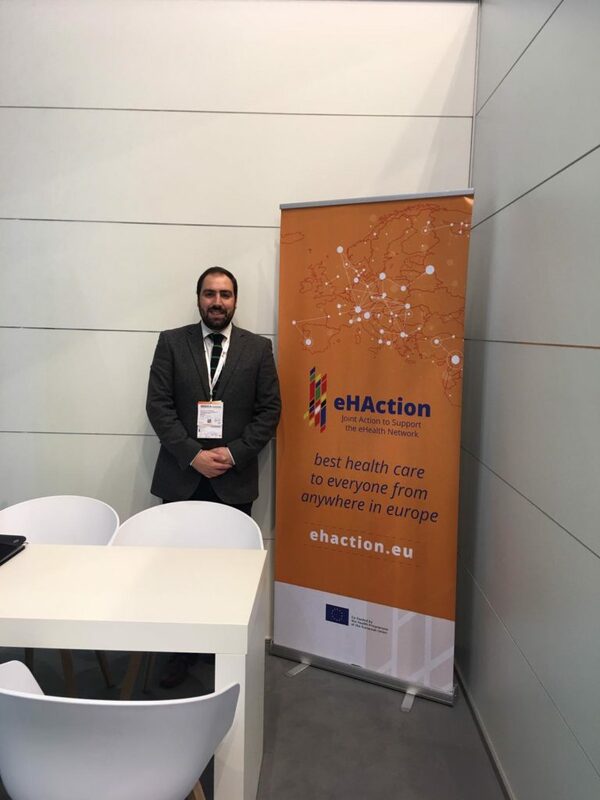 In the scope of this World Forum for Medicine focused on the Digital Health Landscape in Europe, Diogo Gomes, Coordinator of Communication and External Affairs at SPMS, addressed a presentation on eHAction Collaboration Between Member States for Better eHealth Care. The purpose of this conference is justified by current issues, like the impact of eHealth in the world, the processing of health care in the Digital Single Market and how it can benefit people, healthcare systems and the economy. eHAction plays a fundamental role in promoting and strengthening the use of ICT in health development. The strategy is to develop guidance and tools that can promote political discussion and further alliances in five core areas: empowering people, innovative use of health data, enhancing continuity of care, overcoming implementation challenges, eHealth national policies and sustainability for Europe. MEDICA is the world’s largest event of the medical sector – it gathered more than 5,100 exhibitors from 70 countries in 17 halls. Leading individuals from the fields of business, research, and politics are featured each year in this top-class event. This years’ edition takes place in Düsseldorf, Germany, from November 12th to November 15th.